What is included with the Annual Premier Retirement CE Subscription? The new retirement environment requires financial professionals to take a holistic approach when managing the retirement assets, income, and risks of the mid-market. Our Professional Development Retirement CE Subscriptions are designed to give you access to up-to-date thinking from today’s industry leaders. Subjects and speakers are chosen specifically for the retirement CE needs of financial planners, financial advisers, wealth managers and support staff, call center professionals, and public sector defined benefit, hybrid and defined contribution educators. $199 Register & Purchase Now! If, however, you are not completely satisfied, just notify us within 30 days of your purchase to receive a full refund of your fee. We help you be sure you’re comfortable navigating our online system. Courses are initially delivered as monthly live webinars when you have the opportunity to ask the expert questions. No exam is required for live webinar attendees to earn CE — the best way to painlessly earn CE throughout the year on topics in which you’re most interested. You earn approximately 20 or more CE credits during your subscription term without the need for additional exams, by attending live and rebroadcast webinars. Shortly after the live broadcast, all webinars then also become available as a recorded webinar course + handout course, making it easy for you to learn and acquire CE credit in a format and time-frame that fits your busy life. All access to 60+ on-demand courses for a full year. A printable certificate is available certifying that you successfully earned CE credit after you take a recorded webinar and/or audio course and pass the online quiz. PROVIDE for Retirement Income Retirement income planning is more complex than accumulation planning. We help you PROVIDE retirement income. I have been dealing with this issue with clients for some time now. It was great to get a further, deeper dive, into the gray divorce issues. Social Security is a very integral part of the retirement income for the majority of Americans especially now that pensions are practically non-existent. It is important to explore opportunities to enhance retirement income for our clients and members. Gained a better understanding how CCRC communities can work and also the various levels of services by type of care community, as well as the pros/cons of staying in the home. This was a great presentation that will provide much more in the way of my own research as I look at alternative ways to help people fund their retirement… Thank you so much! Thanks so much for covering different strategies and potential outcomes. I found this very helpful and practical. Still deciding? Compare retirement CE subscription levels – $99/90 days or $199/Year – which level is best for you? Worry-Free monthly CE! 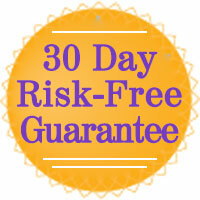 FULL benefits at a guaranteed low price for as long as you remain a Subscriber. Unlimited access to 60+ live webinars, self study on-demand webinar courses, with CFP®, CRC®, ASPPA, American College and other CE credit available. Save on CE with all access to all 60+ on-demand courses! You also receive access to all no-quiz live webinars and rebroadcasts held within your 90 day subscription, only $99 for 90 Days. Easiest way to earn CE! Attend monthly no-quiz live and weekly rebroadcast webinars, with full access to all 60+ on-demand retirement CE courses and presentation notes for an entire year, Pain-free CE just $199 for 365 Days.